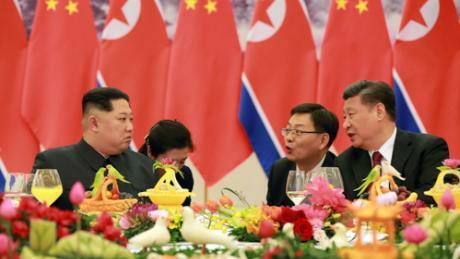 It would be the Chinese leader's first official visit to North Korea since he came to power as head of the Chinese Communist Party in November 2012.The official, who didn't want to be identified, said the visit will happen "soon," possibly after the planned summit between US President Donald Trump and North Korean leader Kim Jong Un, which is expected to take place in late May or early June.Relations between North Korea and its long-time ally China have warmed in the past month following a surprise visit by Kim to Beijing in late March, for a meeting with Xi . North Korean state media at the time said that Xi had accepted an invitation to visit Pyongyang during Kim's trip. It's the latest development in a flurry of diplomacy over recent weeks on the Korean Peninsula. Trump has confirmed that that CIA director Mike Pompeo visited North Korea earlier in April and met Kim to lay the groundwork for the historic US-North Korea summit.Next week Kim will meet with South Korean President Moon Jae-in, who has led a diplomatic push to engage North Korea, in the demilitarized zone between the two countries. Last week, Song Tao, a high-ranking Chinese official who heads the Chinese Communist Party's International Liaison Department, visited North Korea with a group of Chinese performers. 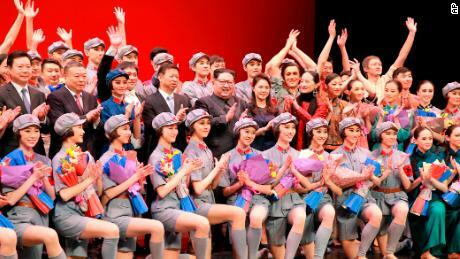 Kim said Song's visit and the performance by the Chinese ballet troupe were the "fruition of the special intimacy and deep interest" between the two countries, according to North Korean state media KCNA.According to the official, Song's visit was also intended as an opportunity to discuss Xi's upcoming trip to Pyongyang. Russia has also requested a personal summit with Kim, the official said, but the North Koreans haven't responded yet. Foreign Minister Sergey Lavrov accepted an invitation to visit Pyongyang during the North Korean Foreign Minister's recent trip to Moscow, where he met with Russian President Vladimir Putin.Both countries touted their 70 years of diplomatic relations during the trip, saying their leaders "regularly exchange statements." Under Kim, who came to power following his father's death in 2011, the relationship between North Korea and China had cooled.Kim purged several key officials with close ties to Beijing, including his uncle Jang Song Thaek, and angered China through its provocative missile and nuclear testing, which went against Beijing's goal of a denuclearized Korean Peninsula.But Kim and his wife, Ri Sol Ju, got the red carpet treatment when Kim's armored train pulled into Beijing on March 26, where he was greeted warmly by Chinese officials.Xi hosted the young North Korean leader and his wife at a grand banquet in the Great Hall of the People. Both men spoke enthusiastically about relations between the two countries during the visit, according to state media, with Kim quoted as saying he chose China as his first international visit to demonstrate how much he "valued (China's) friendship. "According to the state-run news agency Xinhua, Xi said he wanted to work with Pyongyang to promote relations between the two neighbors.